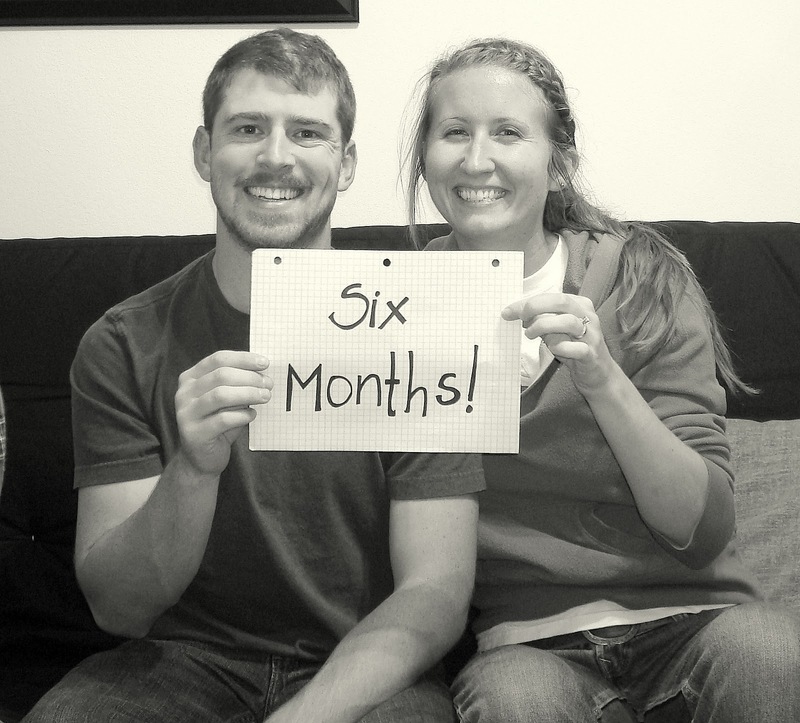 Monday was Jordan's and my 6-month wedding anniversary. I got all freaked out that it's been that long since we got married, even though I know in the grand scheme of life that really isn't all that long. But anyway, we went to dinner downtown OKC, and then we walked a few blocks in the rain to the Bricktown Candy Co., where I got a bag full of delicious sweets. Then we went home, and I made a cheesy sign and made Jordan sit with me and take a cheesy picture. And he sighed and said, "You're going to put this on your blog, aren't you?" And I no, but obviously that was a lie. And he smiled pretty just for me, because he's great like that. It's been 6 months, and I still like having him around. Being married is great like that. Oh you sweet young things! Happy anniversary, with many, many more to come! We're coming up on EIGHT YEARS this month!! CRAZY!! 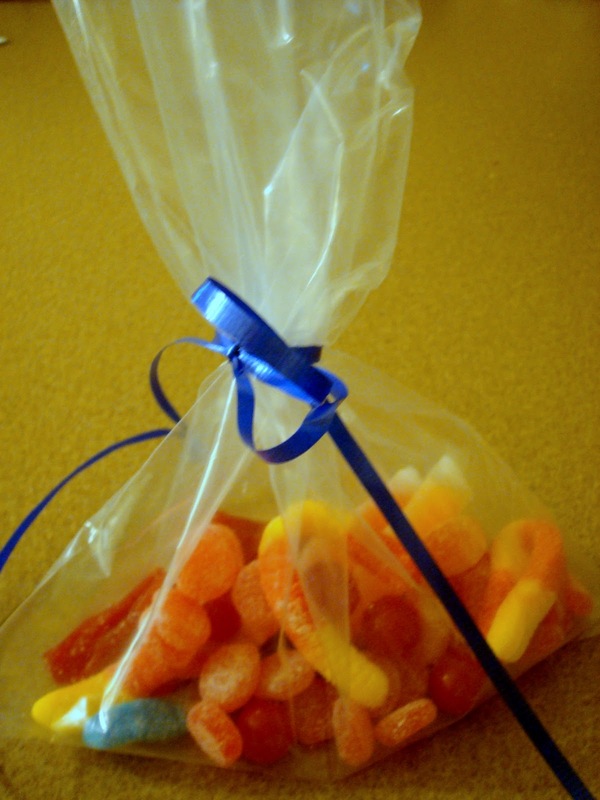 "bag full of candy" made me expect much more than what the picture of this puny bag at the end shows. I am disappointed by your restraint and self-control. @AudraUmmm... okay, I should have clarified. Before I took this picture, I ate a lot of it and only THEN remembered to actually take a picture. I probably should have just left it at my description instead of showing the bag post carnage.